Best known for creating Mickey Mouse, Walt Disney is one of the 20th century's most honored and important icons of animation. Nominated for 63 Academy Awards, he produced many cartoons and feature films considered classics today. 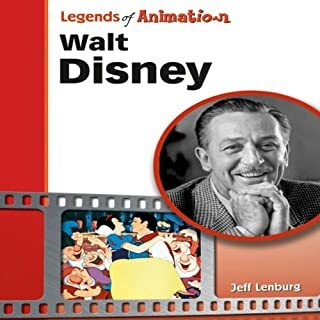 Walt Disney: The Mouse That Roared delves into this man's colorful life, explaining the inspiration for his classic creations and revolutionary animation techniques. A tight, concise, and highly informative biography of a remarkable man. From humble begins to the many fits and starts to what would become a multimedia and theme park empire, I learned so much about the long and winding road to the Magic Kingdom. Narrator Al Kessel does a terrific job narrating the story, giving real life to a man long lost to us.